The following are some of the fun things I’ve done / appeared in which have made me proud. Scroll on down for a bit of unashamed bragging. I was a contributor in the frankie magazine book A Little Bit Crafty, a collection of 39 DIY projects from creative types across Australia and New Zealand. My project was upcycling old tights and weaving them in to cover ups for jars, bangles and the like. Whilst working at Centre for Adult Education (CAE) in Melbourne, I instigated REGINALD – The CAE Portrait Prize for Softies 2014 which is one of the best projects I’ve ever had the privilege of creating and working on, which has also inspired my own creative work including the making of lil Pip and lil Cat dolls, the competitions’ judges. REGINALD was a competition where we invited people to make a Softie (soft toy) Portrait of someone they admire/appreciate/quite like and submit photographs of the Softie Portrait along with a photo of the person that the portrait represented. Twelve finalists were selected from an amazing array of 63 entries. An exhibition of the finalists work was held at the then CAE Info Shop, in Degraves Street. The overall Reginald winner was decided by judges Cat Rabbit and Pip Lincolne with a People’s Prize voted by the general public and a frankie magazine (one of the sponsors of the event) special prize, decided by Jo Walker, Editor of frankie magazine. REGILOGUE, a catalogue of the entrants and finalists. Sometimes I make dolls. Tribute dolls are dolls that celebrate life – life that exists, life that’s been lost or life that is wished for. Celebration dolls, portrait dolls, manifestation dolls, fertility dolls, remembrance dolls, memory dolls, sentimental dolls and anything you want them to be dolls. 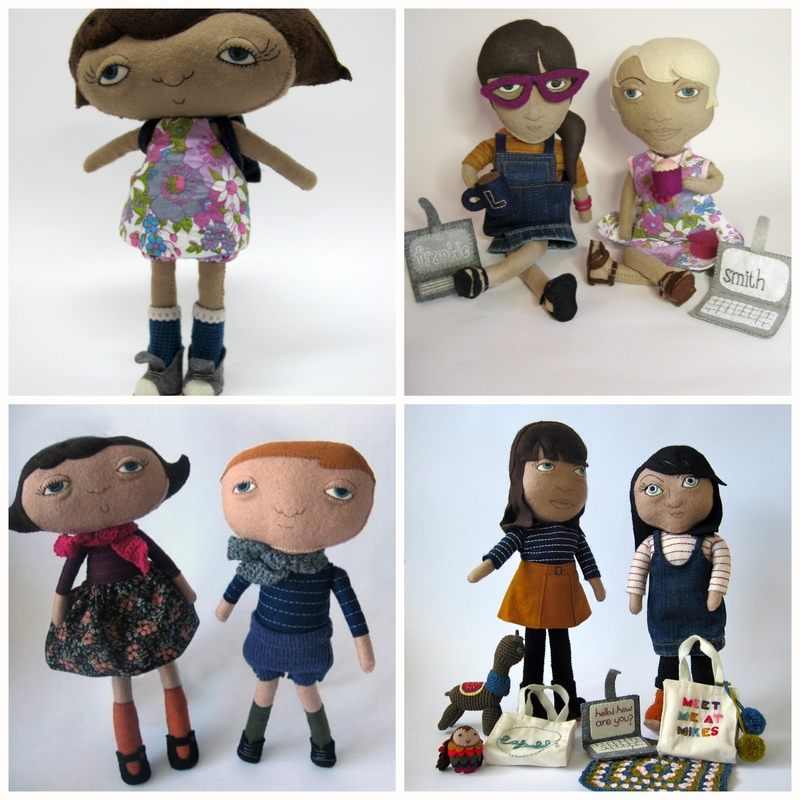 I’ve made dolls for people I really like and I’ve been commissioned to make dolls. I got interviewed on tele. See me teaching crochet and extolling the virtues of craft and stress management in episode 5 of the Channel 31 documentary series ‘Made By Hand’ which was aired June 2011. Click here to view. In this ten part series, Craft lover, Tracey Wightman showcased the eclectic world of skilled and talented crafts people in Melbourne, exploring artisan crafts, demonstrations and community based craft projects & initiatives. To find out more about the TV series and to view all episodes view the Made By Hand website. Pip Lincolne‘s magazine ‘Good Stuff Holiday Guide’, released December 2011. Access here and go to page 95 for Sue’s article on Healthy Tips for Surviving the Party season. Blog post for Crafty Stress Management course, Mar 2011, download here. I love Frankie Magazine and to have them publish me on their blog was a heap big win.